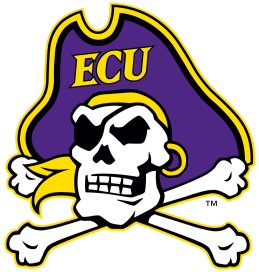 GREENVILLE — East Carolina (1-5, 1-2 AAC) jumped out to a 3-0 lead on a first-quarter Jake Verrity field goal, but 24 unanswered points in the second quarter by Temple (3-3, 1-2 AAC) made the difference as the Pirates fell to the Owls 34-10 Saturday afternoon at Dowdy-Ficklen Stadium. ECU quarterback Thomas Sirk threw for 258 yards with one touchdown and one interception on the day. This makes the fourth time he has thrown for more than 200 yards this season. Wide receiver Jimmy Williams recorded his fourth career 100-yard receiving game with his 110 yards on five receptions on Saturday. ECU was unable to get the ball moving on the ground on Saturday, only rushing for 34 yards. “Right now, we are a one trick pony on offense. We are throwing it but not running it very well and we can’t run it very well without the quarterback running all the time and unless we are right in the middle of games, it is almost impossible for him to run it with what defenses are throwing at us. We have a lot of work to do in our run game,” Pirate coach Scottie Montgomery said after the game. Special teams was one of the few bright spots for the Pirates on Saturday as punter Austin Barnes had a season-long 65-yard punt during the fourth quarter of the game and has routinely been pinning opponents deep in their own territory this season. All three of Caleb Pratt's kickoffs were touchbacks. Going back to last week's game against USF, Pratt has had a touchback on seven straight kickoffs. Another area disparity on both sides of the ball from Saturday's game was third-down conversions. Offensively, ECU only converted on 3 of their 14 third-down attempts while allowing the Owls to convert on 14 of their 20 third-down attempts. "That was a really good team win. I thought we played well on all three phases of the ball. Our big emphasis was to start fast, take care of the football, third down we had to convert and when they were on third down we had to get off the field because that is an explosive offense. I thought we did all of those things. We ran the ball well and finished the game." Both teams are in American Athletic Conference action next week as Temple hosts UConn while ECU travels to UCF.